Punjab School Education Department is a department of Government of Punjab, Pakistan. The functions of the department are to perform legislation, policy formulation and planning of primary/elementary, middle, secondary and higher secondary education and maintain standards of education in these fields. Now they have stop the Privatization of Govt Schools and Regain the hold on PEF given Schools, in this way there are multiple vacancies are open for Educators. 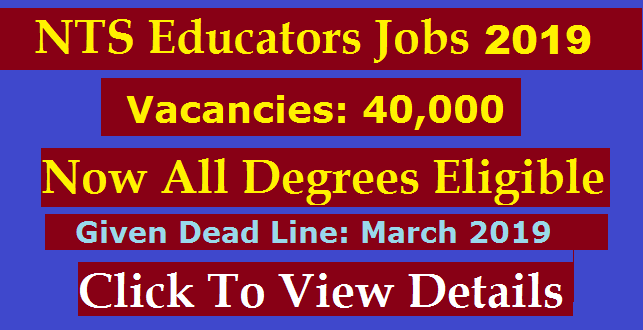 Those All Candidates, Which Are you looking for Punjab Educators Jobs 2019 & Want to enroll yourself in Upcoming NTS Educators Jobs Session 2019, then there is a good News for you.